You probably know that I write my posts in advance of their publication date. As I sit here, it is 9/11/15 and I want to tell you about StoryCorps. 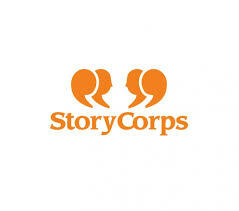 StoryCorps is one of the largest oral history projects of its kind. Since 2003, StoryCorps has collected and archived more than 50,000 interviews from more than 80,000 participants. Each conversation is recorded on a free CD to share, and is preserved at the American Folklife Center at the Library of Congress. They aim to record one interview for every person who was killed on 9/11. Some of these interviews have been transformed into animated shorts.